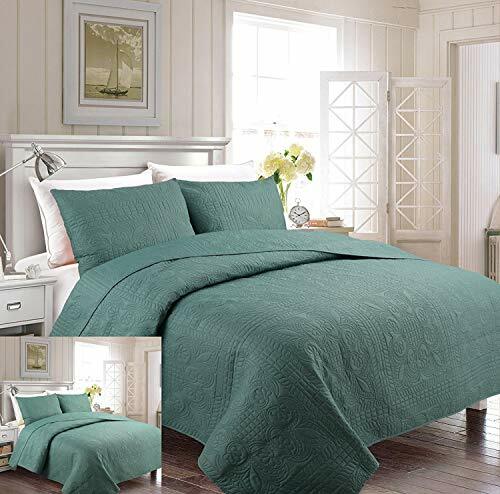 Size:King/Cal King | Color:Grey The Lightweight Wireless Thermal Pressing Quilted 3-Piece Coverlet Set provides luxury with masculine and modern flair. 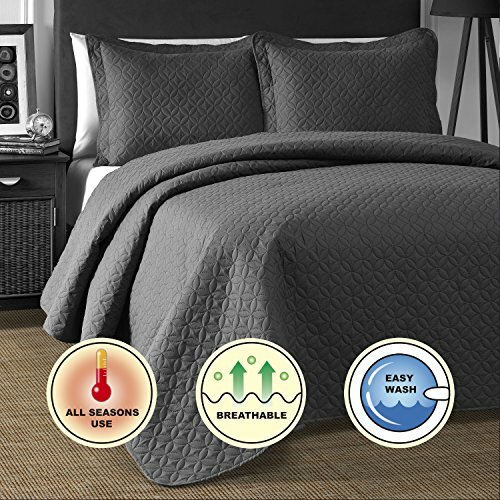 New modern technology of Wireless Thermal Pressing Quilt eliminates the trouble of lint. 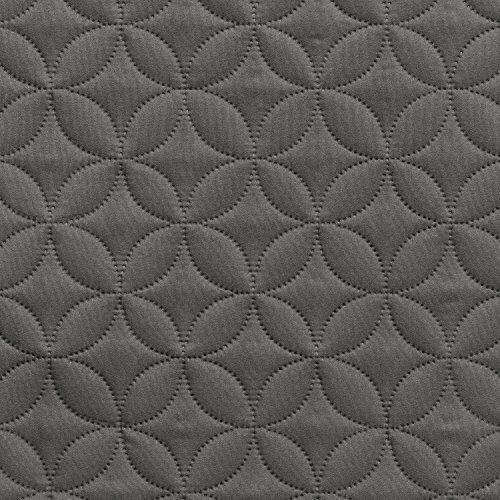 Elaborate quilting is controlled by computer to avoid filling shifting or going out. 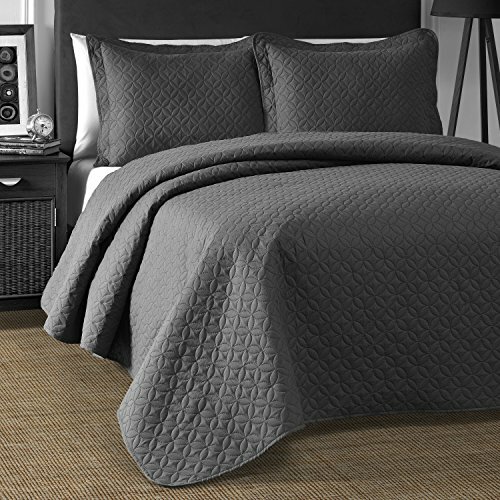 Microfiber filling is evenly distributed by small and uniform partitions so that provides the smooth feel and comfort. 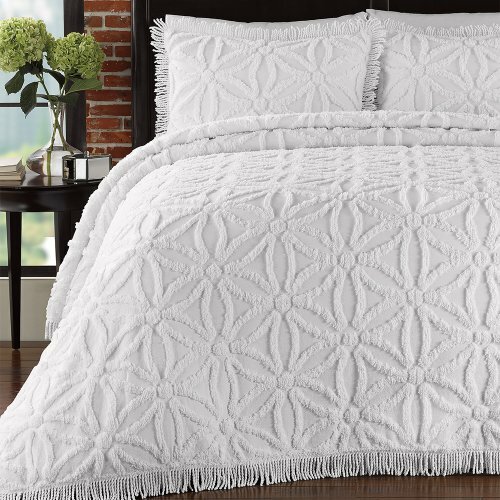 The bedspread is highly durable and easy to wash and dry.